Home /Beauty Insider, Beauty Tips, Treatments/Dark Eye Circles: Is There Really A Cure? Find dark eye circles staring right back at you every time you catch a glimpse of yourself in the mirror? Dark eye circles are persistent in their efforts to thwart your journey to flawless skin. Good news! Thanks to the rise of aesthetic innovation we have a cure. In my quest to get rid of dark eye circles (successfully) I researched on the best concealers, supplements and medicine and spoke to doctors including Dr Michelle Lim, Senior Medical Consultant at SW1 Clinic. 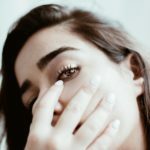 Her experience and patience in answering all my nagging questions (like who knew highly touted Retinol could actually be bad for the undereyes?) provided me with valuable information that is extremely helpful for me in my decision to opt for professional treatment. I hope they will be useful for you too! DO YOU SEE MORE PATIENTS SEEKING TREATMENTS FOR DARK EYE CIRCLES? Dr Lim: Yes. 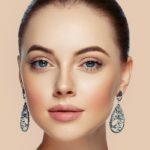 I guess for anyone in this day and age seeking to look alert and presentable, few things are scarier than finding eyebags or dark undereye circles when they look into the mirror, so yes, we are definitely seeing more people looking to lighten or remove dark undereye circles, to avoid looking tired or uninterested when they are actually not. WHAT ARE THE COMMON CAUSES OF DARK EYE CIRCLES? Dr Lim: Dark undereye circles or the so-called “raccoon eyes” are actually due to small capillaries and blood vessels showing up under the skin of the undereye region. This can be due to medical issues such as allergies, thinning skin or true pigmentation of the skin. 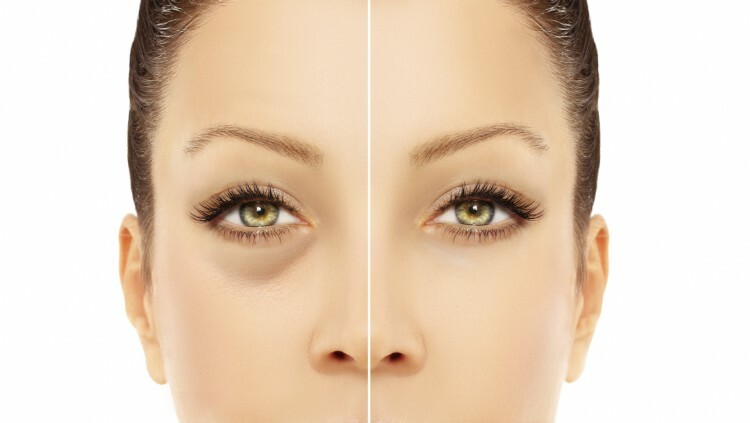 Another common cause of dark undereye circles is due to “hollowing” under the eyes; a shadow effect due to loss of fat under the skin, or bulging fat in the lower eyelids. These can cast a depressing shadow, causing the skin the area to appear darker than they really are. ARE THERE ANY OTC METHODS THAT CAN MAKE A SIGNIFICANT IMPACT ON DARK EYE CIRCLES? Dr Lim: If transient puffiness is the problem, cold compress may temporarily ease the fluid retention and alleviate the undereye shadow. However, if the puffiness is due to permanent bulging of the fat pad, cold compress will not work. 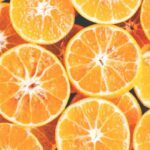 Unfortunately I do not routinely recommend lightening creams such as those containing retinol for the undereye area for pigmentation issues, as the risk of irritating the delicate skin in the undereye region is simply too much for anyone to bear, and in my opinion, may make the problem worse in the long run. WHAT ARE THE TREATMENT OPTIONS FOR DARK EYE CIRCLES THAT CAN ACTUALLY IMPROVE THEM? Dr Lim: If the primary problem is a tear trough deformity, undereye natural fillers would be appropriate. Laser treatment would be more appropriate for pigmentation and mild hypervascularity issues. One session of undereye fillers shows instant lightening results. ARE ALL FILLERS SUITABLE FOR USE ON THE UNDEREYE? Dr Lim: No. Hyaluronic acid natural fillers should be used, as these can be easily dissolved if the results are not satisfactory. Due to the thin skin of this region, very soft fillers should be chosen to avoid lumps. More severe undereye hollows may require deeper filler placement if a “tenting” effect is desired, in which case, a choice of slightly harder fillers would be appropriate in these cases. The undereye area is an extremely fulfilling area to correct, but takes quite a bit of skill and patience to achieve good results. ARE ALL LASERS SUITABLE FOR USE ON THE UNDEREYE? Dr Lim: No. There is a wide range of lasers to treat different skin concerns. For dark undereye circles due to pigmentation or hypervascularity issues, I would recommend starting off with a pigment laser and possibly a pulsed dye laser. Usually a single treatment would not be sufficient, so patients should work towards a realistic goal with their doctors to achieve the desired results. ARE THERE ANY OTHER TREATMENTS THAT PATIENTS FREQUENTLY COMBINE WITH THE ABOVE TREATMENTS? 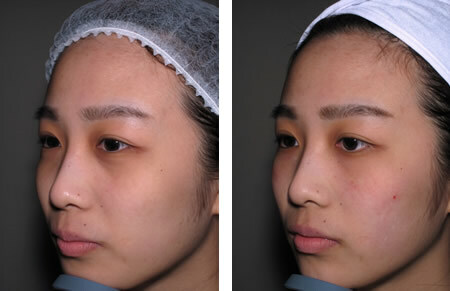 Dr Lim: It is quite common to combine undereye fillers with Botox in the lateral eye area. This has a dual effect of softening wrinkles around the eyes and thus making the undereye filler treatment even more natural-looking. Most patients find this combination quite refreshing. Not a lot of Botox needs to be used, you only need that little bit to slightly relax the eye muscles. IF YOUR HUSBAND HAD SEVERE DARK EYE CIRCLES, WHAT WOULD YOU DO FOR HIM? 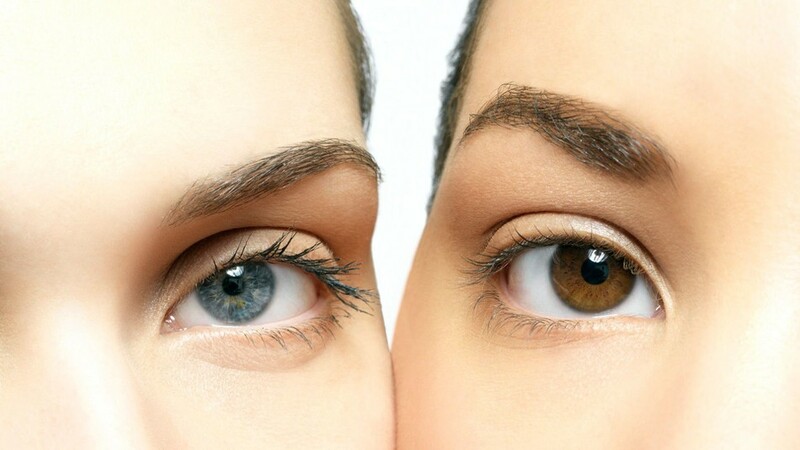 Dr Lim: I would recommend the Eye Revival Program for him, which gives four sessions of Revitalift undereye, four sessions of quattro toning undereye and 8 collagen eye masks for a holistic approach to his slightly sunken undereye hollows, pigmentation of the sensitive skin of the area and fine lines. I UNDERSTAND THAT YOU ARE NOT ONLY TRAINED IN AESTHETICS BUT HAVE SPECIAL EXPERIENCE IN EYE. CAN YOU ELABORATE ON YOUR PAST WORK EXPERIENCE? Dr Lim: Prior to starting Aesthetics, I was training to be a General Ophthalmologist at one of the larger local hospitals. I started my training after I returned from my postgraduate research stint in Australia. The training was split between medical issues as well as surgical issues pertaining to the entire eye, including all the structures within the eyeball, and exterior to it, such as the eyelids and lashes. It was a challenging but an extremely fulfilling life. Most people would never imagine there can be so much to learn about such a small and intricate organ such as the eye. The fine microsurgical skills I acquired during those years of training, having to operate through the microscope mostly which requires a great deal of patience, attention to detail and a certain level of surgical finesse, for example, has been especially rewarding. 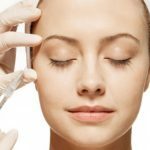 I am grateful for this exposure, which has given me a unique set of skills that I have now carried over to my career, working alongside some of the best local aesthetic doctors in Medical Aesthetics at SW1 Clinic. Dr Michelle Lim obtained her medical degree at the University of Queensland in Australia in 2009. Dr Lim trained intensively as an eye surgeon at the Singapore National Eye Centre with special interest in microsurgery and general ophthalmic procedures. 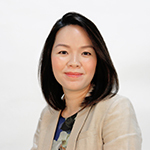 Her specialized background in Ophthalmology, Dr Lim brings an attention to detail and key surgical finesse over and above her keen eye for aesthetics to the cosmetic procedures.